If you look right between Frosty Flights and Happy Hamlet on the map, you can see the opening where the Battle Star is located. Just head east of the Tomato Temple, and you’ll find it. If nothing else, that’s one Battle Star earned, and the rest you can tackle at your leisure. 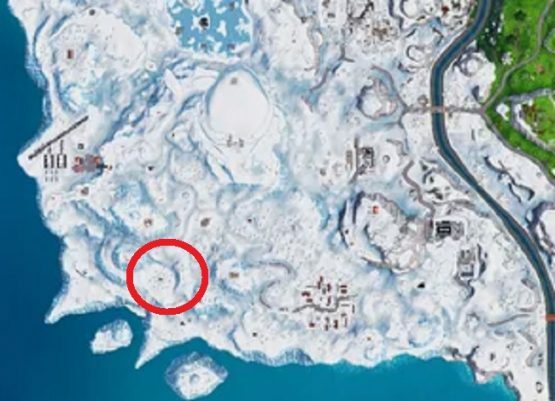 Landing at Polar Peak and dancing on top of water tower should both be achievable over the course of two matches, so knock those out and unlock some rewards. Speaking of rewards, if you participated at all in the 14 Days of Fortnite, you have a free glider coming your way. More info on that here.